Mosaic view player designed for real time visual control of video streams quality and audio signal level. 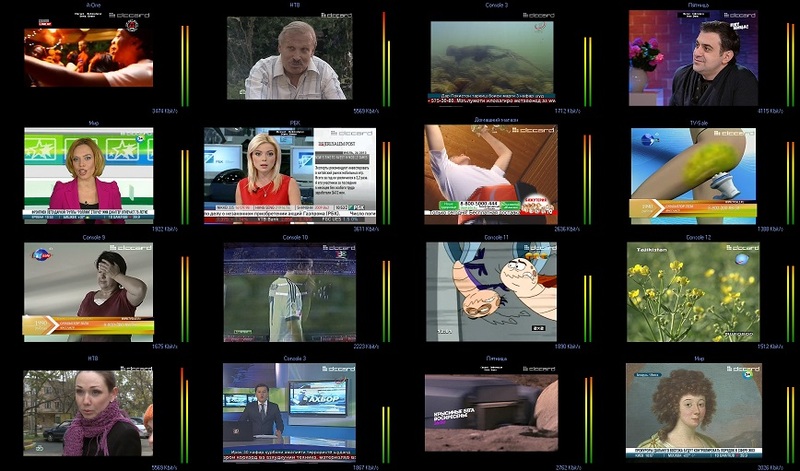 Elecard Multistream Player is a broadcast monitoring tool that enables 24/7 multichannel visual and automated analysis of live feeds. With a configurable software-based architecture and an easy-to-use interface, the tool reduces the complexity of multichannel monitoring and allows smooth integration with broadcast, OTT, and IPTV systems. Multistream Player supports a wide range of DVB tuners and video signal capturing devices and can be easily customized in accordance with user’s requirements. 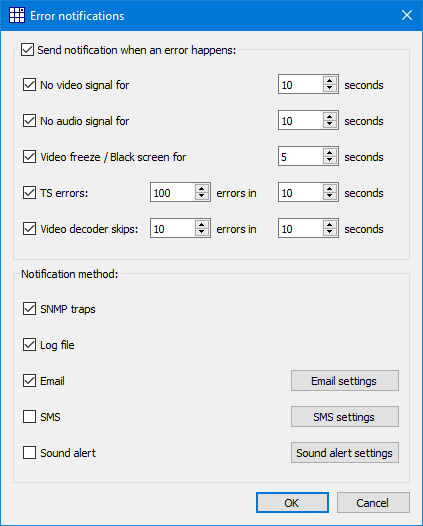 User notification on triggered error (event) via e-mail, SMS etc. Please fill in a short form to get free demo-version or product pricing. Solution for UDP, RTP, HTTP and HLS streams monitoring and measurement of QoS and QoE parameters in all segments of distributed networks.